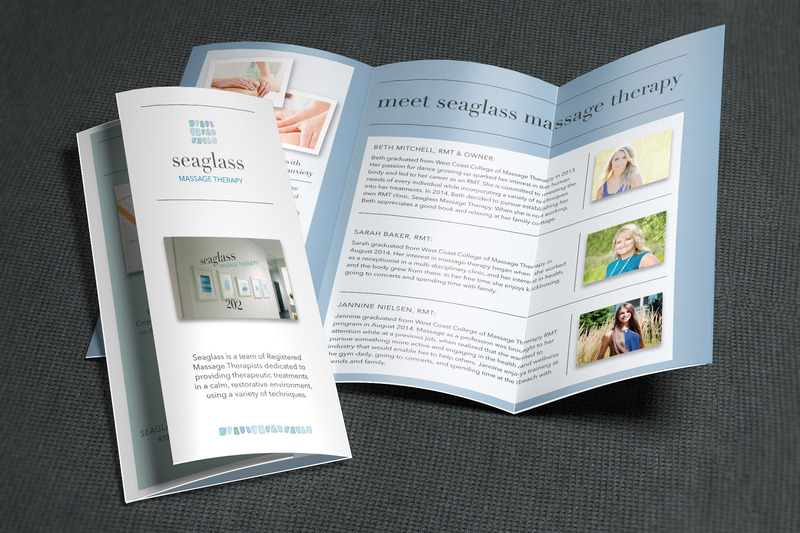 Seaglass Massage Therapy hired us to assist the brand new company in selecting their name, creating their entire brand including their logo, signage, printed materials, and more. 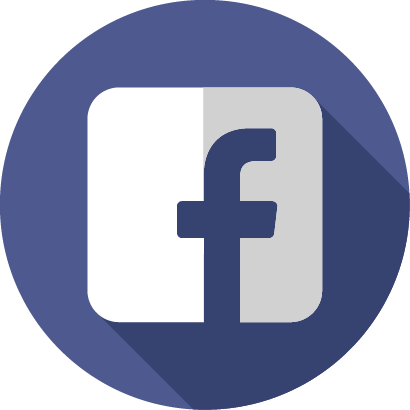 and are so proud to be part of their ongoing success! 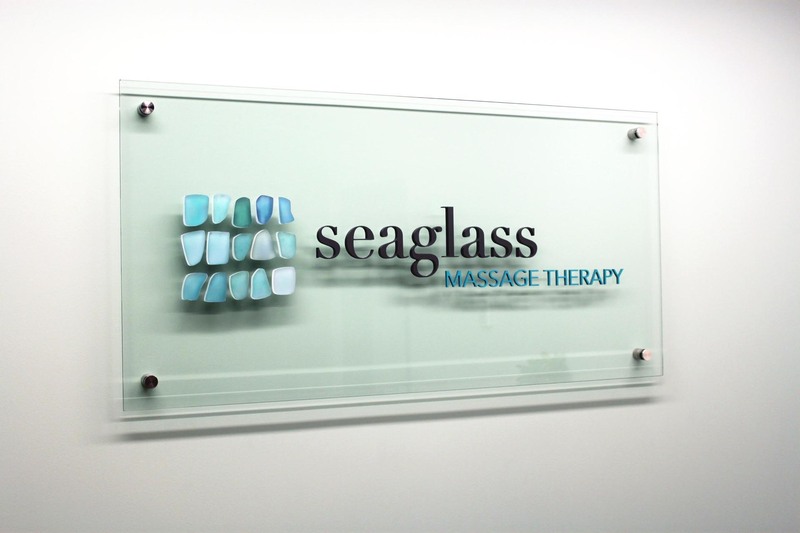 First and foremost, we wanted to create a beautiful, unique logo to represent Seaglass Massage Therapy. 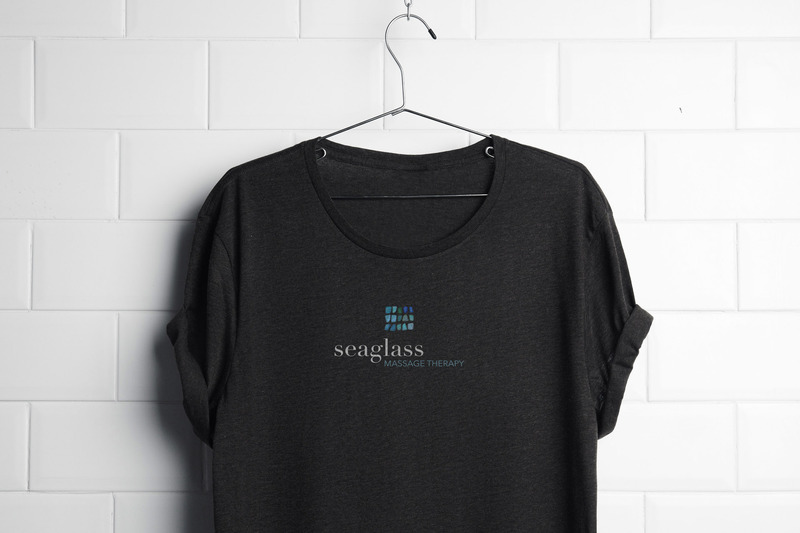 The owner, Beth, knew she wanted a realistic seaglass look and came to the table with helpful inspiration and images to guide the design process. 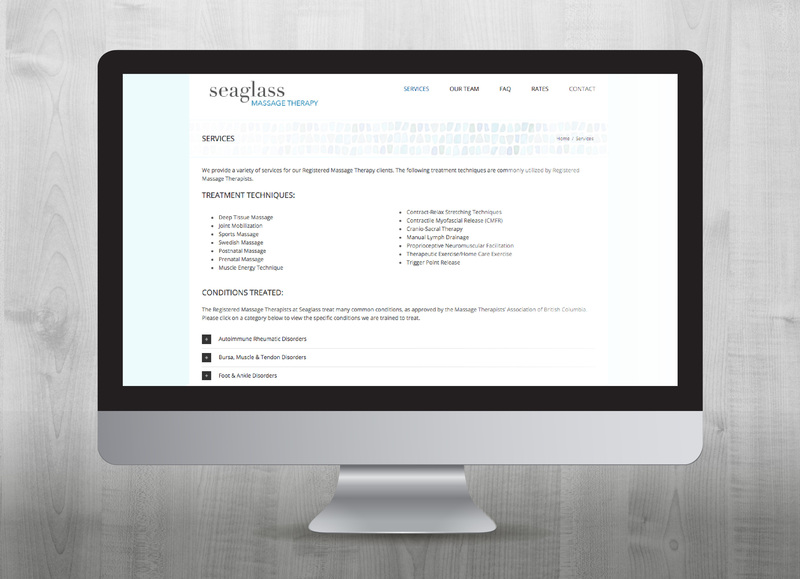 We used soft, cool colours and a classic serif font face to complete the cohesive look. 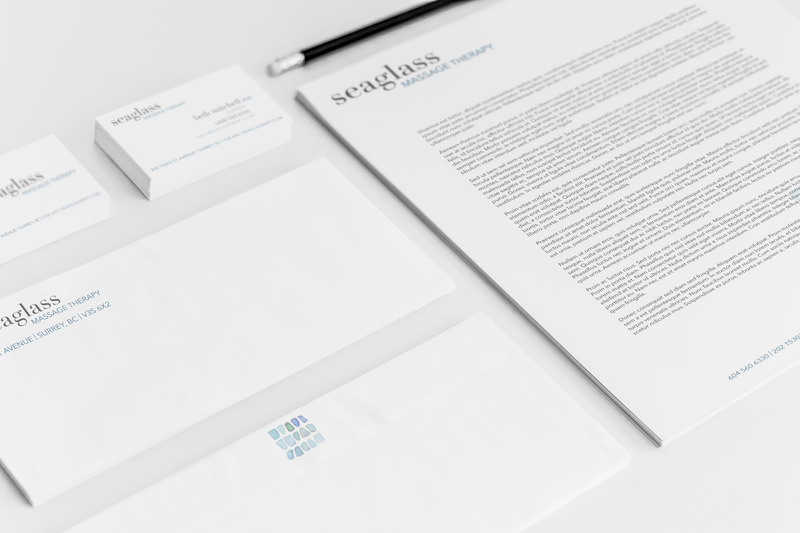 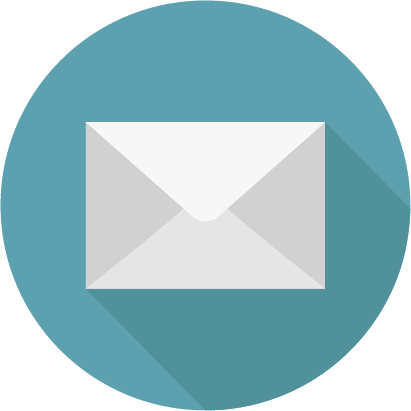 This was then applied across various media including letterhead, envelopes, and invoices. 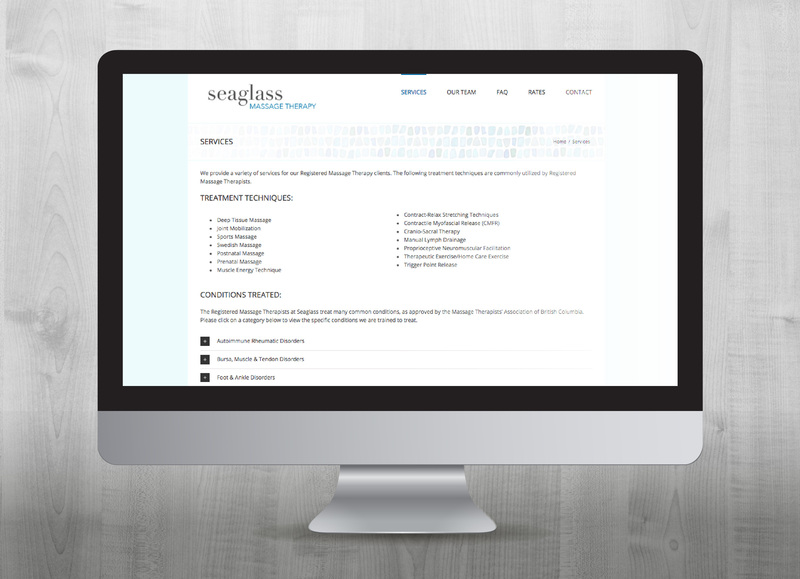 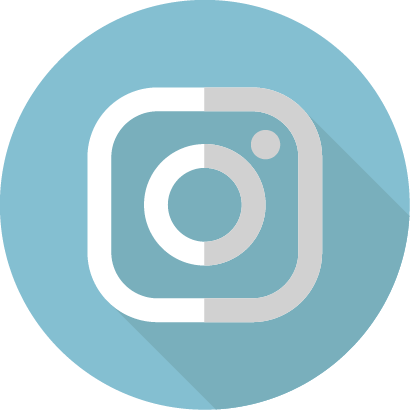 Seaglass required a website with a booking tool and social media sites which we created to match their branding. 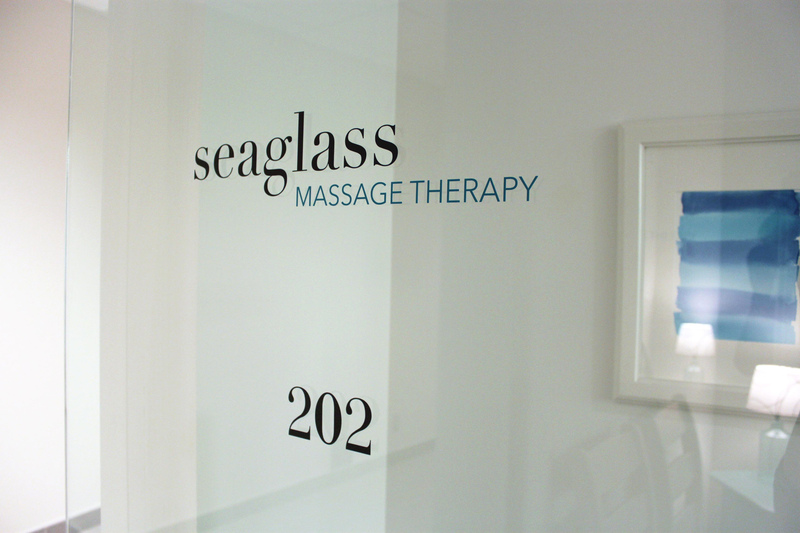 We are most proud of the beautiful three-dimensional glass sign we designed and had built for their reception area. 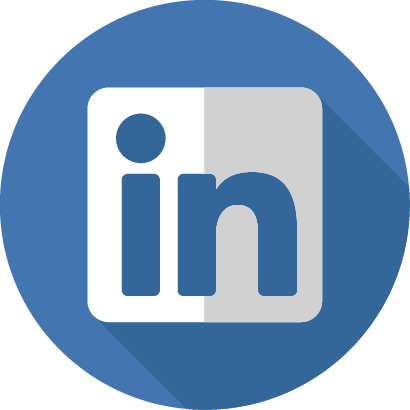 It makes quite the statement. 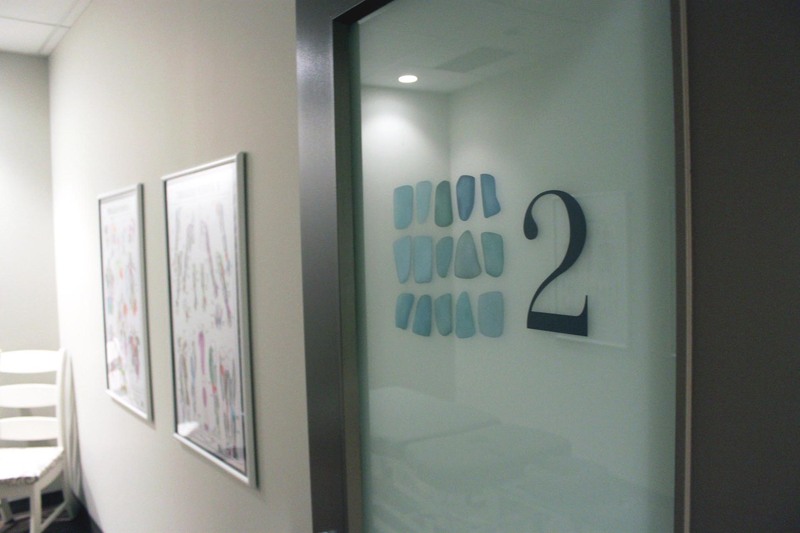 We also created the vinyl lettering used on the treatment room doors and hallway entrance door.